Carlos Anta - Haciéndome el sueco: What Career Should I Choose? The first Viking Rule to build a successful career is to choose a career path that suits you. In other words, get to know yourself so you can find your "vocation". 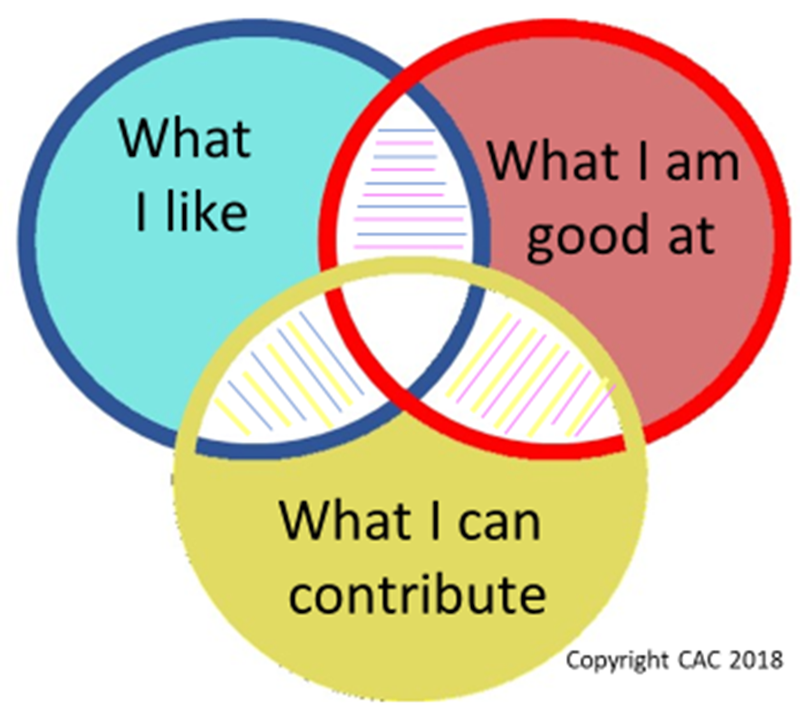 Your vocation is the place where your talent meets what you like and what the world needs. Let us talk about these three things: what you like, what you are good at and what the world needs. Most job coaches emphasize the importance of working on something you like. The truth is that it's hard not to agree with this statement, but ... What does it mean exactly? Is it about the content of the work? Does it refer to the lifestyle that comes along? Maybe both at the same time? Professional development and job content. Work with an inspirational mission. Lifestyle, work life balance or an appropriate location. Each one of us gives a different importance to each factor. In general, it is difficult to find a job that meets all motivations at the same time. Unfortunately, most of the times we must choose according to our preferences. 2. What you are good at. We all have strengths and weaknesses. The competitiveness of the current labour market requires us to take advantage of our virtues. Knowing what our strengths are is fundamental to choose our career path properly. If you are good at doing something, you are more likely to enjoy it, but what you like and what you are good at are not always necessarily the same. 3. What you can contribute. We also need to ask ourselves what the market needs and what you can contribute with a long-term vision. In his famous Presidential Address, John F. Kennedy said, and I quote: "Do not ask what your country can do for you, ask what you can do for your country." (Video of the Inaugural Address). Similarly, when looking for a job or when you are doing interviews for a job, think about what you can do to contribute to the company and use it to articulate your speech. Take advantage of the job interview to ask where you could be helpful and find out about the company is looking for. You may need to be flexible to adapt to the market needs. I hope you find the best career path for you, where your talent meets what you like and what the world needs.